Whether you’re a business owner and/or an advisor thereof, this site is intended as a resource for information on the latest in outstanding business books and thoughts on building an operation with accountability as its bedrock. Sure, call if you need help with a business valuation or search for a buyer, but come back to see the latest ideas in building and enhancing value. Don’t have time to read? That’s why we do it, so you don’t have to! Don’t know how to hold others – or yourself – accountable for doing the tough things? Look to the left! Business owners engage Murphy Business when they are unsure of the true value of the business, are compelled to step outside of their day-to-day role to seek advice on the exit plan & process, and lack an employee and/or family member to take over the operation. 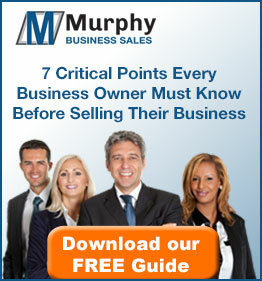 Murphy’s Franklin office works exclusively with businesses that do up to $5M in annual revenues. This is known as the in-between, underserved market and the office’s entire focus is on serving the small business community.